- Flawless continues to showcase college football’s storied past with an extensive checklist filled with Heisman Trophy winners and All-Americans of the past nine decades. 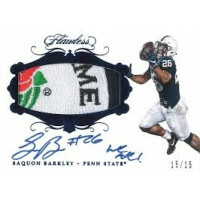 - In Rookie Patch Autographs, you’ll find on-card autographs from all of the top 2018 rookies, including Conference Patches, Bowl Game Patches and Brand Logos. 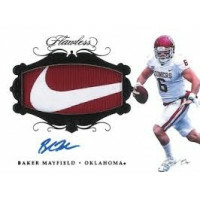 - All autographs in Flawless Collegiate Football are either on-card or cut signatures (#’d to 25 or less)! One of the most-sought after rookie cards on the market, Rookie Patch Autographs features on-card autographs from all of the top 2018 rookies, including Conference Patch, Bowl Game Logos & Brand Logos. 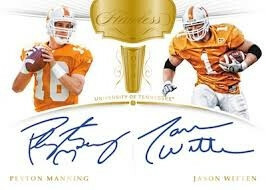 Flawless Dual Signatures features on-card autographs from iconic duos from the same college! 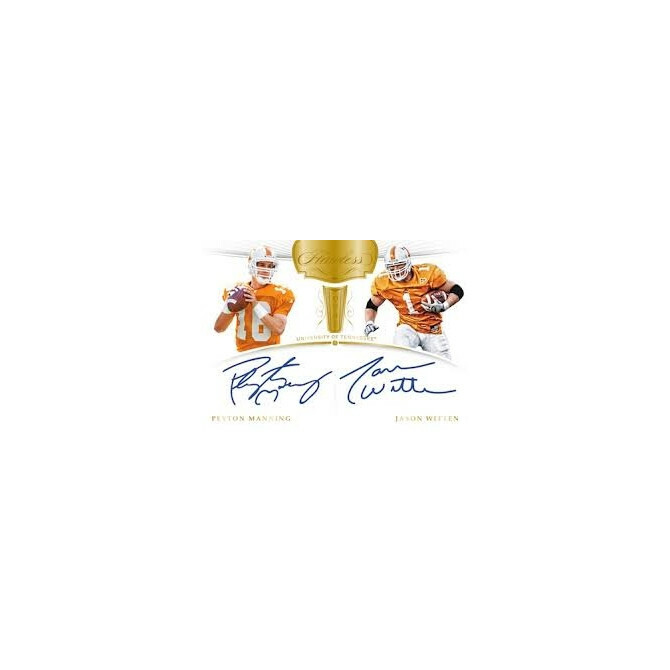 Dual Diamond Memorabilia Autographs features 2 swatches of material paired with an on-card signature from some of the best college players of all time! New this year to Flawless, Player Team Gems will feature school logos with color-coordinated gemstones inserted into the design, all #’d 1/1! Full of top names, our Premium Ink checklist brings the best that college football has to offer.